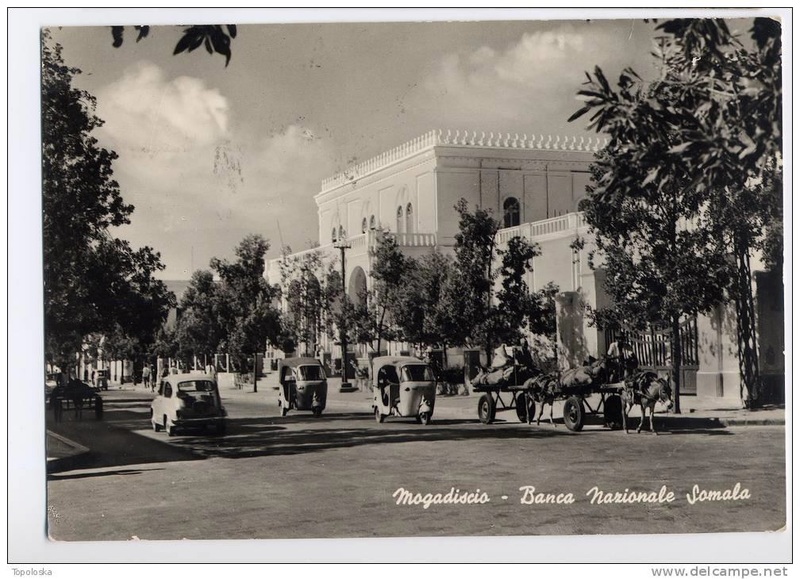 The world and the Somali peoples were shocked to recently learn that the Lower House of Parliament amended the Central Bank Act to hire a non-Somali Governor – a British man with no Central Bank experience and who is reportedly highly connected to international dealers. Social media platforms and coffee shops across the world for the past few weeks have been abuzz with disgust and uproar. This betrayal was done by what we call “the House of the Peoples” who are mandated by our Constitution to protect the interests of the Somali peoples. 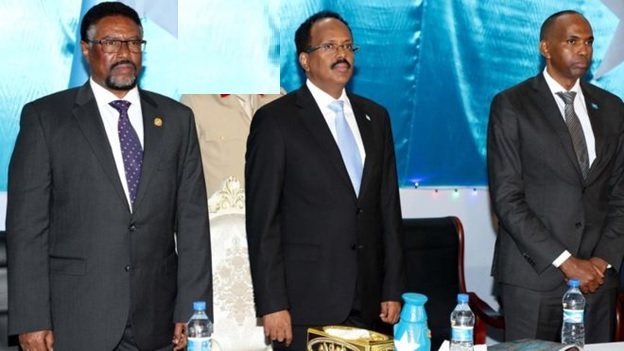 In addition to being a huge disappointment for the vast majority of Somalis, this has created a serious dent in the credibility of the current regime in Mogadishu, with Premier Kheyre in the driving seat and President Farmaajo consensually nodding beside him. On the evening of January 14, a lovely gala was held at Villa Somalia to celebrate the unprecedented amendment of a law that takes Somali pride back by 60 years. We will never know why the Government is fighting to have Nigel Roberts at the helm of the Central Bank of Somalia with ludicrous excuses like “we can only be trusted if we have a white man in charge”. Many observers have remarked that Somalia’s name is being flushed down the drain with its leaders openly admitting that the Somali peoples are so utterly hopeless. The message from the Somali government over the last few weeks has been: Somalis are an incompetent race of people that cannot be trusted unlike the perfect, pious caddaans. We know this not to be true. Therefore, this has given rise to serious speculation that this Nigel Roberts has special, close relations with the top leadership. This has come out more glaringly during the recent conclusion of the so-called “interviews” conducted on January 27th and 28th where three non-Somalis and four Somalis were invited for a face-to-face interview in front of a panel chaired by the Minister of Finance, Abdirahman Beyle. It should be noted with concern that two individuals who were supposed to be in the race – a French and an Egyptian – refused to participate in the selection exercise because the outcome was being openly discussed everywhere. No upstanding, ethical person would participate in what was so obviously a sham selection process. The national leaders had made a pre-determined decision and were not hiding the fact that they had already decided to appoint Nigel Roberts. Why else would a law be changed in favour of foreigners before the selection process was even concluded? One top leader was recently quoted saying: “We decided to keep him in office for at least 18 months” before Parliament had even voted in favour of the change. Other members of the selection panel included Minister Anshur of Post and Telecommunications who is an engineer with no understanding of the world of finance, and Mr. Abdirahman Abdullahi, advisor to the Prime Minister on economic affairs and his right-hand man. These three loyalists were obviously taking instructions from the Prime Minister and cannot be seen as impartial interviewers. The only independent panel members were Dr. Ali Issa Abdi and Dr. Edward Sambili, a highly respected Kenyan banker who is also a member of the President’s National Economic Council, like Ali Issa. After interviews at Peace Hotel, the panel stuffed with the government’s yes-men started to deliberate on the outcome of interviews. It has been widely reported and confirmed through reliable sources that the selection committee split into two. As expected from the design and setup of the committee, protégé Beyle and his two assistants, Anshur and Abdirahman, insisted that the name of only one candidate be submitted to the higher authorities. In contrast, the two independent academics disagreed, questioning why one person should be preferred over the other three (Somali) candidates who qualified for the job. It was at this juncture that the committee failed to agree on the way forward. After the yes-men failed to show up for the committee’s follow-up meeting, the two independent panel members, Dr. Ali Issa and Dr. Sambili, left Mogadishu. Reportedly, the two academics are very bitter and feel used by politicians who have no regard for fairness or transparency, and only care about results that serve their interests. This takes down the credibility of the government overall and particularly of the Minister of Finance who is on TV day in day out. Mr. Minister, I promise that I will shut off my TV screen when you come on air, because of zero credibility. Now the worst-case scenario will be that the government’s three yes-men meet and fake a quorum, declaring “Hurrah, Nigel is our Governor!” Indeed, they may call for another extravagant reception at Villa Somalia and celebrate fooling the Somali people with this conspiracy. But as time will surely tell, if Nigel is selected for the job as we all feared from the start, this will be another shot in the foot that will expose the failure of governance in Somalia. Perhaps this will exonerate President Museveni and confirm that there really is no government in Somalia. Or it will confirm yet again that Somalia is indeed the most corrupt country in the world. On a positive final note, history will record Dr. Ali Issa and Dr. Sambili as honest patriots who performed far better than our 275 members of parliament.